All main attributes of East countries are represented in the Jewels Of The Orient free slot machine created by the Microgaming company and you can enjoy watching them here. Jewels Of The Orient is the 5-reel, 9-payline video slot with the very entertaining theme, which combines both materialistic and human ‘jewels’ of East. The jackpot of this nice game with one bonus feature is 2 500 coins. We hope that it will be very interesting for New Zealand players to discover for themselves this wonderful slot machine, which demonstrates the beauty of Orient women. It will not be the problem to find it among Microgaming free slots casino games and enjoy its nice graphics and lucrative bonus features. 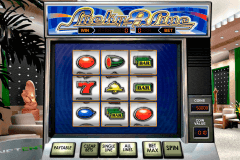 The role of the Wild symbol in this online slot plays the Game Logo icon, which can take place for all symbols, with the exception of the Scatter one. The Logo symbol is also the highest paying icon here. The beautiful Palace image is the Scatter symbol. You will be glad to collect three and more of Palace Scatters, because they will activate the Palace Bonus of the Jewels Of The Orient slot. 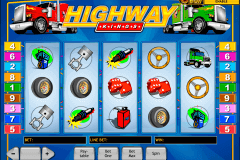 Depending on the number of Scatters, which have activated the feature, gamblers will be able to benefit from 10 to 40 online slot machines free spins. 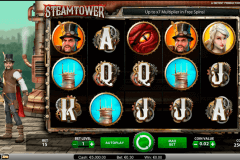 The number of the available multiplier of this casino slot is from 1x to 5x. Gamblers can also win the 5x to 120x multiplier of their total bet in this feature too. However, remember that the number of free spins, multipliers and coin prizes determine the number of Scatters (from 3 to 5 ones. The more Scatter, the higher wins you will get. So, as you can see this simple slot is one of online slots games for free with bonus rounds, which guarantee quite big wins. Why not the beauty of the woman can be the treasure? And, indeed, it is and many free video slots games no download prove this fact. One of them is the Jewels Of The Orient slot and on its reels you will see 5 charming Easters girls in native dresses, the chest, the treasure pot, the palace and the game logo icons. Choose the best online casino to win real money from our recommended list, play the Jewels Of The Orient game from Microgaming and enjoy its nice graphics, lovely music and big wins.